Be sure children in your vehicle are properly buckled up or restrained in a child safety seat appropriate for their size and age. TxDOT now offers free child safety seat checks year-round at its district offices throughout the state. Enter your ZIP code below to find the nearest location and get contact information to schedule an appointment. These free safety checks usually take 20 to 30 minutes and are just the thing to assure that you're doing everything possible to protect your child in a moving vehicle. 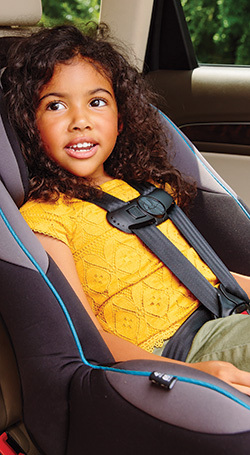 You'll learn how to best secure a child safety seat for the type of vehicle you drive, the ideal safety seat for your child's age and size, safety in and around your vehicle, and more. To find additional child safety seat checkup sites in your area, call Safe Riders at 800-252-8255. Copyright 2014. Texas Department of Transportation. All Rights Reserved.